Lux Z, an Olympic competitor, winner of over $1 million Euro and sire to approved stallions and successful competition horses such as Lupicor and Nagano. 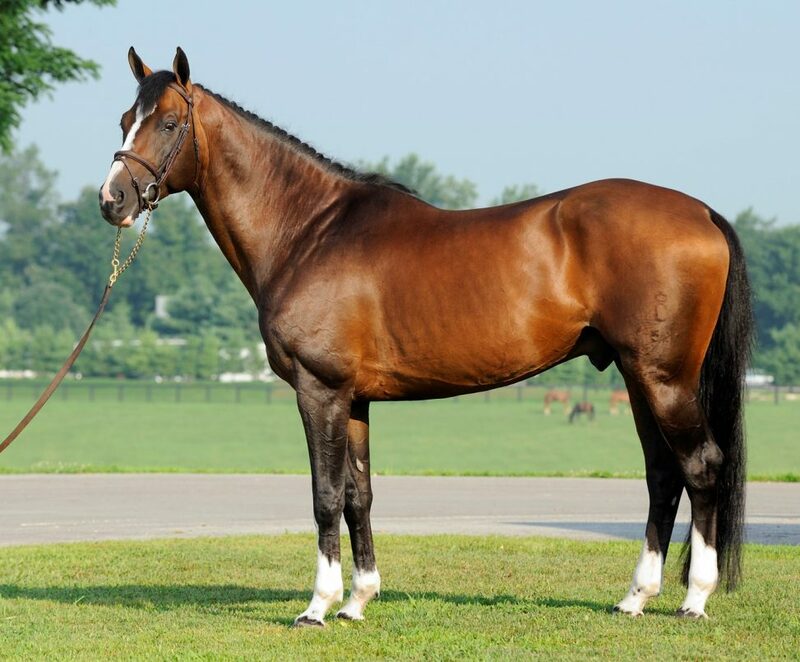 Silvio I, the most important son of Sandro Z, is the sire of 2-time World Champion Shutterfly and the Paul Schockemohle stallion, Sir Shutterfly. Landadel, the most important son of the legendary Landgraf, is the sire of Peter Wylde’s Olympic Gold Medal mare, Fein Cera and Markus Beerbaum’s long-time Grand Prix partner, Lady Weingard. Furioso II, the top producing stallion in Germany from 1979-89. During his lifetime, he produced over 200 state premium mares and at least 80 approved sons, including the all-too-recognizable For Pleasure, Voltaire and Michael Matz’s Olympic mount, Heisman. Bred by Paul Schockemohle’s Lewitz Stud, SCF Renaissance has put on display this top performance lineage by successfully competing in his young career in both Europe and the United States and debuting in his fist Grand Prix at just 9 years old. Imported by Spy Coast Farm in 2010, he was selected by owner Lisa Lourie and trainer Shane Sweetnam not only to be the farm’s next Grand Prix competitor, but also to be the perfect compliment to the farm’s burgeoning stallion line-up. As his very modern blood type would suggest, Renaissance possesses cat-like athleticism which will be a unique advantage for those breeders who need to add blood and refinement, but not lose generations of Warmblood breeding. And while his near perfect jumping technique, limitless scope and carefulness make him a natural choice for any jumper breeder, his exquisite bascule, his “knees to chin jump” and his fancy exterior will most certainly entice the hunter breeder. SCF Renaissance: An all-too-tempting choice for the breeder seeking an all-star pedigree and the jump to match it. Bred by the Zangersheide Stud, Lux Z is one of the most successful stallions in international show jumping. With Jerry Smit, Lux Z participated in the 2000 Sydney Olympics and won the Pulsar Crown competitions in Valkenswaard and Cannes. His total winnings exceeded one million Euro! In addition to stamping his offspring with jumping ability, Lux Z also anchors his type and movements in his offspring and has produced numerous high level dressage competitors. Lux Z is said to be the best son of the Holsteiner stallion Lord Calando. Lord Calando’s sire, Lord, needs little introduction as one of the foundation sires of the Holsteiner breed, but his dam, Perra is very special as she is also the dam of the lauded Holsteiner stallion Carthago Z, who was another of the great jumping competitors and sires. Perra’s sire, Calando was also an international show jumper and competed in the 1984 Olympic Games with Karsten Huck and is best known as a broodmare sire with over 180 States Premium Mares. Paternal siblings Tettina and Toviana finished as European Champion and Reserve Champion at the International Mare Show in Brussels in 1999. Sir Louis was Vice Champion of his Redefin Stallion Test. 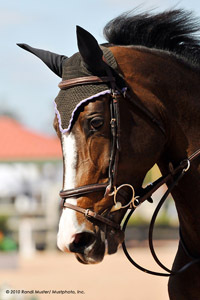 Sergeant Pepper was state riding horse champion and a highly placed federal championship finalist both in 1997 and 1998. In 1998, he was awarded I-a main premium status. Sternstunde was reserve champion of 6-year-old jumping horses at the FEI World Breeding Championships in Zangersheide in 1999. SCF Renaissance has been exclusively a competition horse. This will be his first year standing to the public. Due to his heavy competition schedule, he will have a limited book. SCF Renaissance is a very modern, blood type stallion with a strong topline and excellent length of leg. He is a medium-sized stallion with respect to height, substance and bone. Due to the prepotency of his pedigree, we expect him to pass on these physical qualities to his offspring, as well as his scope, athleticism and the strong quality of his gaits. We do not expect Renaissance to add significantly (or perhaps at all) to height, mass or bone.